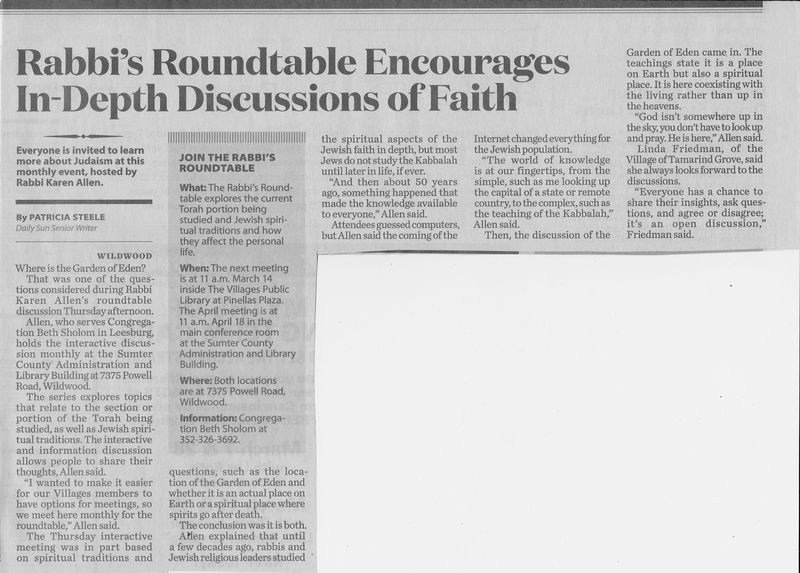 An article about the Rabbi's Roundtable appeared in The Villages Daily Sun on February 16, 2019. Click here to read it. A great article about the Kabbalat Shabbat appeared in the Daily Commercial on August 3, 2013. Click here to read it. Two articles about Jewish life in Leesburg were written by Rick Reed for the Daily Commercial in December 2012. Click here to read them. Two of our members built an amazing Holocaust Memorial in the Hillcrest Memorial Garden in Leesburg. An article about it appeared in the Orlando Sentinel on April 18, 1998. Click here to read it.